Sublime Fund is a charity that makes philanthropy easy. 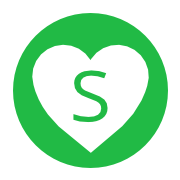 Donate monthly to multiple charities from one place. Choose charities working on causes that are important to you. You'll automatically donate to all of them once a month. You won't have to keep remembering to donate. You won't get requests in your inbox and mailbox for more donations. View all your donations in one place. We'll send you an end of year summary email to make it simple. Do it online any time. Create a public profile to show the world who you support. Incentivize other people to donate by matching them. You can still subscribe to our free newsletter. Go to our dedicated page for charities to find out how we can help you. Check out our FAQ (frequently asked questions), chat with us, or contact us.